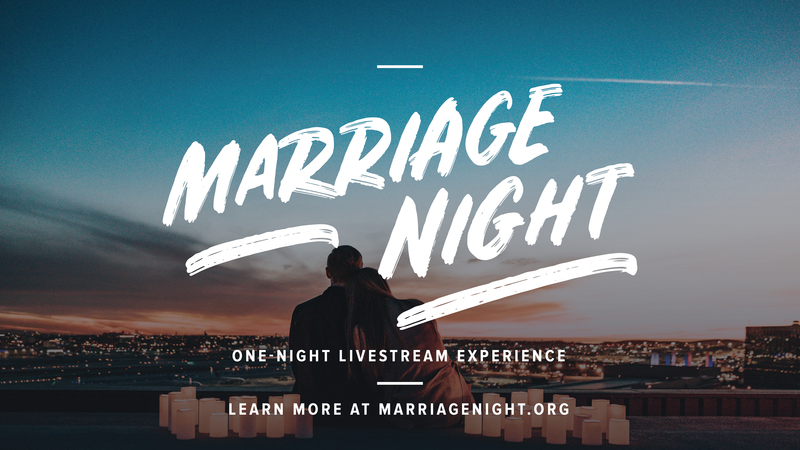 On May 31, 2019, we will host the first Marriage Night livestream event in partnership with RightNow Media. Marriage Night will bring together thousands of husbands, wives, and engaged couples to hear from Francis and Lisa Chan (You and Me Forever), Les and Leslie Parrott (The Good Fight), and comedian Michael Jr. Marriage Night is an opportunity to laugh and learn with your spouse as you hear from marriage experts and discover how to honor God in your marriage. The event will provide expert teaching and principles for a lasting relationship while challenging us to see the greater purpose of marriage—to glorify God and advance his gospel. Marriage is made for more than fairy tale ending. It’s a picture of God’s hope and redemption for a world in need of rescue.